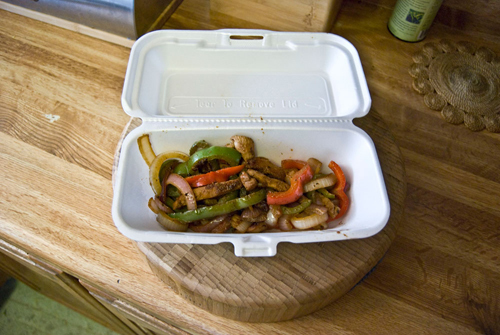 Restaurant Leftovers – Good or bad? 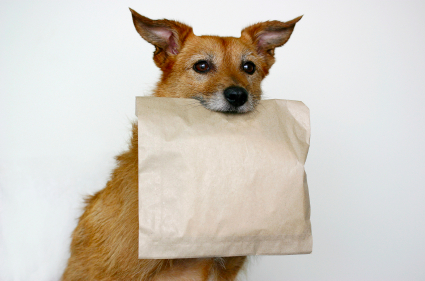 We used to call them doggie bags. You know that little bit you take home to the dog…or the babysitter. When I was growing up, people looked down at people who took doggie bags because it looked like you were poor. We were, but then again there were so many of us we never had any leftovers to take home. In our present North American society, food is piled on your plate. I can’t eat as much in one sitting as I used to so, after 2 or 3 fries the mile high pile sits there. If it was a sandwich or a burger, half sits and stares at me, too. In fact, I could order a half order and they usually take off a couple of bucks. It’s not worth it so I order a full meal and take the rest home. Sometimes, my leftovers will last 3 meals. Yes, if it was a breakfast skillet (one of my favourite breakfasts especially if covered with hollandaise or cheese) I plan to take it home. Breakfast, lunch and breakfast the next day. This makes a huge calorie investment spread over 3 meals much more reasonable, right? Now-a-days it’s OK to ask to have it wrapped to go. Some places bring you a carton and you do it yourself and others take your food away and bring it back all packaged. This makes it so much easier to eat out and us largish people know that eating out is so very hard on your diet. Eating out is a treat so the gourmet burger or curry chicken and chips are a reward for going out. I’m being very honest and plead with the rest of you to as honest, too – why would you pay $16 for a salad that you could make at home for $4 with the arugula (free in my garden) and the candied walnuts???? No way! If we’re going out to eat we’re going to treat! So it’s a good thing that we can take the leftovers home and stretch the calories over more meals. Right? So, now that I’ve had this discussion with myself, I’m going to set up a couple of lunch dates with people I’ve promised to have coffee with over the last couple of months. If I happen to bring home the leftovers, so much the better, right? ~ by 1fatgirlshrinking - Diane Kirby on July 10, 2014.